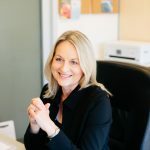 With a passion for helping people to achieve their true potential, Jacinta Noonan’s long and successful career as a coach and trainer is more a divine calling than a job choice. Jacinta Noonan is an international coach and trainer. She is passionate about people and delights in watching her clients achieve great things. Jacinta works within the area of personal coaching to assist individuals find their passion and to help them achieve their life dreams. Training is another passion of Jacinta’s, which is why she regularly gives talks and runs workshops. Jacinta’s sensitivity and passion for people is evident through her coaching sessions while her dynamic and entertaining style ensures highly interactive, stimulating and rewarding workshops! “I draw on my extensive life experiences to provide dynamic, stimulating and challenging coaching programs and workshops which bring about tangible changes in those I work with. I love working with people who are committed to unlocking their true potential and who have a genuine desire to inject more passion, fun and balance into their lives”. Jacinta has worked in the field of training for more than 20 years, starting out as a primary school teacher in Australia. After moving to the Netherlands in 1999, her career took a completely different turn. She started to work with adults and has been doing so ever since. For 4 years Jacinta was manager of the English Department at a Business Language Institute in Amsterdam. She then felt ready for a new challenge and was fortunate enough to find an excellent position at head office of a pharmaceutical company where she worked for 5 years. She designed and delivered management development training programs to participants around the world. Jacinta has been awarded the following qualifications. you understand what drives your behaviour. Jacinta realises that as a professional she needs to keep abreast of developments in her field. She is a member of the following associations. British Psychological Society, Graduate member of this society to stay updated on the field of psychology. Being involved in networks outside of work can be incredibly enriching and that is why Jacinta is a member of the following groups. EuropeanPWN, Held a position as VP Member Relations on the board of the Amsterdam chapter of The European Professional Women’s network and continues to be an active member. Connecting Women, Held position as Vice Chairperson for two years and as Member Relations for 3 years. When Jacinta is not developing new ideas for her companies or studying, she likes to relax by reading and has been known to read a book from cover to cover in one sitting. She also loves singing, playing piano, playing guitar and writing – songs, articles, books. She is passionate about her family and friends and enjoys spending time with those she loves.